In the end—or, in the beginning, I suppose, given that it took him all of two days to eliminate 23 teams from the running—Japanese two-way superstar Shohei Ohtani’s criteria for a Major League team had nothing to do with money, and nothing to do with the DH. Instead, the very first cut apparently came down to pure geography. All 30 MLB teams prepared presentations for the 23-year-old starter/slugger, who can sign with any team he wants after being posted on Friday. 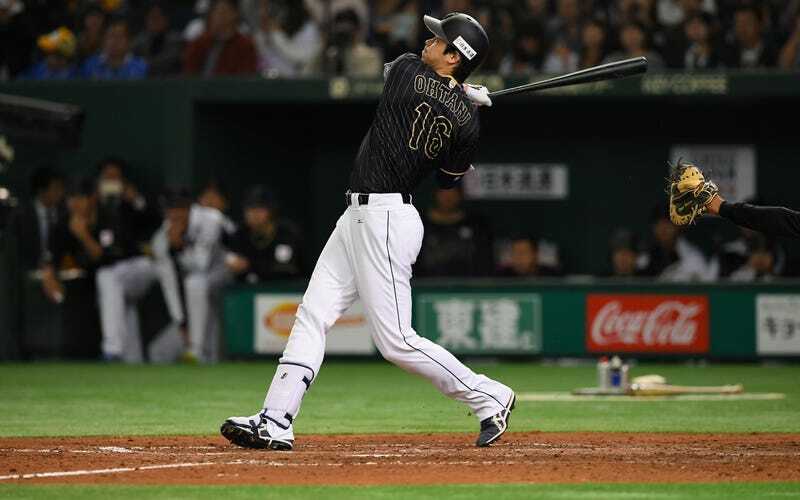 But very quickly, Ohtani’s representatives informed those who were not in the running. Some of those teams publicly acknowledged they had been told they were out; others quietly leaked it. According to MLB.com, these teams are no longer in the Ohtani sweepstakes: The A’s, Astros, Blue Jays, Braves, Brewers, Cardinals, Diamondbacks, Indians, Marlins, Mets, Nationals, Orioles, Phillies, Pirates, Rays, Reds, Red Sox, Rockies, Royals, Tigers, Twins, White Sox, and Yankees. That leaves seven teams as finalists (a list confirmed this morning by other sources) for Ohtani, the most exciting player to hit MLB in a long, long time. Drumroll please: The Angels, Cubs, Dodgers, Giants, Mariners, Padres, and Rangers. Ohtani’s list of finalists has five teams from the West Coast. (The outliers, and the most intriguing finalists, are the Cubs and Rangers, neither of which play in small markets.) It’s a much shorter trip to and from Japan, and that’s apparently a big deal to him. How much will league matter? Speculation has Ohtani favoring an AL team, since the DH spot would likely give him more opportunities to hit, something he’s reportedly keen on. Or might some NL team actually let him play the outfield when he’s not pitching? He’ll find out in Round 2 of this process, which will be face-to-face meetings. And we’ll all find out by Dec. 22, the deadline for Ohtani to make his decision.